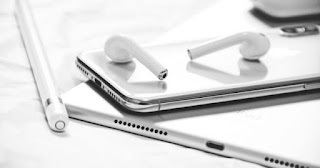 With iOS 12 came very interesting news to the iPhone and iPad , despite the few changes in design, these developments have given us some extra features that we did not have before. One of them is Live Listen, an option that allows us to better listen to a conversation , at least that is its main function. 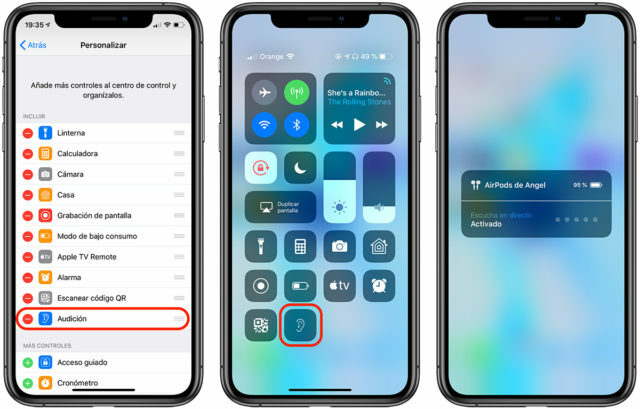 If you have AirPods and an iPhone with iOS 12 this option is available in the settings of the Apple wireless headphones. Through it will amplify any sound or conversation that our iPhone listens to , which literally turns it into a spy microphone. First of all we must make it clear that this is not the main function of AirPods or Live Listen and that you must use it responsibly without breaking the law . Apple has translated Live Listen as "Live Listening" and it is an option that must be activated from within the control. To do this we go to Settings> Control Center> Customize controls and activate Audition . Now we will see an icon with an ear in the Control Center. 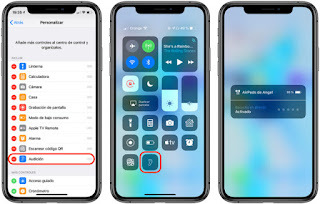 When we have connected the AirPods to our iPhone we can activate the Live Listening option, we just have to download the control center on the iPhone, or upload it on the iPhone with Touch ID, and click on the new Hearing icon . A box will appear in which we can activate "Listen live" by clicking on it. From now on any sound that captures the microphone of our iPhone will be heard on the AirPods . That is, if we leave the iPhone in a room and move away, we can perfectly listen to what happens even if we are far away. As long as you're within Bluetooth range. Remember, do not use this to do evil, this function is not intended for it. Although it can be useful in some situations, for example to know when your baby cries .